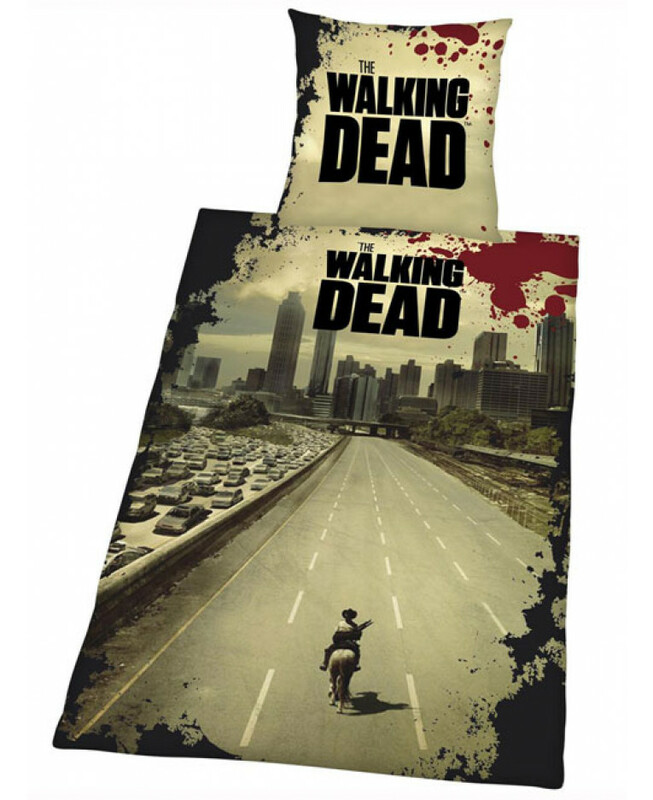 Fans of The Walking Dead will love this gloriously gory official bedding set! 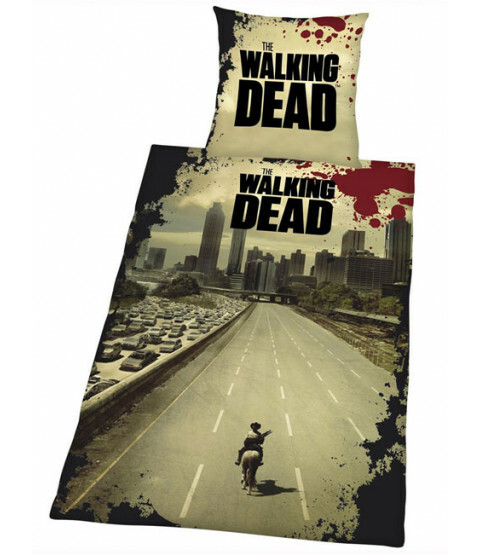 The design features an image of Rick Grimes as he rides into a deserted Atlanta, accessorised with blood spatters in true The Walking Dead style. 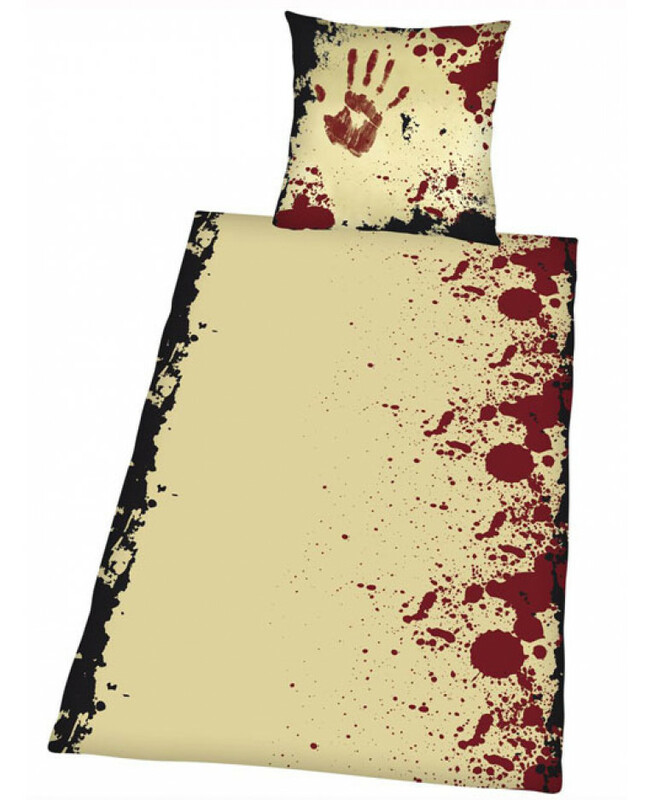 The reverse of this duvet cover and pillowcase also follows the gory theme with further blood spatters and hand prints.This item can be machine washed and tumble dried on a cool setting.